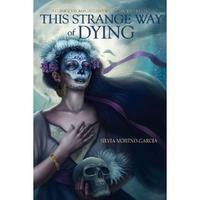 "There is plenty to enjoy in This Strange Way of Dying, not just for the gourmet of death, but for anyone who loves a good story, even for those ready to dismiss horror fiction as 'butcher’s work.' If you hunger as Moreno-Garcia’s 'Death Collector' does 'for the delicious, the delicate, the more refined crimes rather than clumsy trails of corpses,' then you will devour them in each wonderful story." 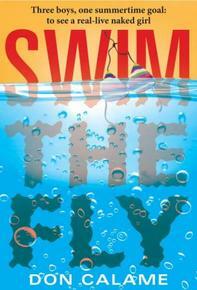 "Sometimes it’s difficult to keep enough copies of Don Calame’s Swim the Fly in stock here at Kaleidoscope Kids’ Books. When we start describing it to a customer and say how everyone we know laughs out loud while reading this book (adults and teens), other customers overhear us and come over to get a copy too. If anyone you know aged 13+ needs a good laugh (and who doesn’t?) then this is the book for you. Matt and his two best friends, Sean and Coop, share a very interesting summer while on their quest to see a real live naked girl." 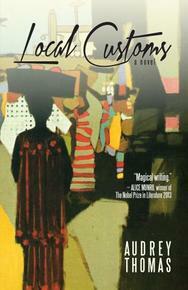 "Local Customs, by Audrey Thomas, is a terrific read. Audrey is a fantastic historical fiction writer and this one kept me up well past finishing the book. Who was this woman, 'Letty,' and what really happened to her? The novel is set on the Gold Coast, just after the end of the slave trade (1838). I love how Audrey sets the stage and fills in the details of this mysterious story." 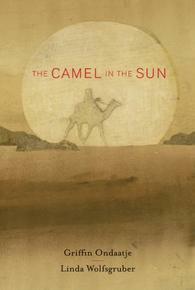 "The Camel in the Sun is a traditional Muslim tale of transformation. A camel driver, thoughtlessly cruel to his helpless beast of burden, does not realize that it too suffers from heat and thirst while traversing the desert. The long-suffering camel is visited one night by The Prophet, who is able to communicate the camel’s sorrow and suffering to the camel driver in a dream. This saddens the camel driver but awakens his empathy toward his camel. Though heartbreaking, this tale is sensitively told. Adult readers will be reluctant to judge the camel driver harshly, realizing how often we ourselves are blind to the suffering of those around us, human and animal. Younger listeners and readers will appreciate a chance to discuss this rich story with a trusted adult. Young children and adults alike will be drawn easily into this tale illustrated beautifully to evoke heat, sand, and a moonlit night." "In a household with an entire bookcase devoted to cookbooks, Rebar quickly became, and has remained, a book of choice when in need of a particularly flavourful meal. From fairly basic to quite complex (their Monks Curry calls for a homemade curry paste, which means a second page worth of ingredients) every recipe in this book is worth trying. 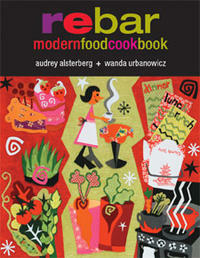 Your cookbook collection is really not complete without the Rebar Modern Food Cookbook." 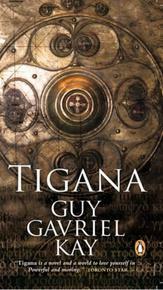 "Tigana by Guy Gavriel Kay is one of the best books I've ever read. If a customer comes in looking for a great epic fantasy novel I eagerly thrust Tigana into their hands and tell them their search is over. Everything Kay writes is brilliant but Tigana is special." We are always looking for more booksellers, and more recommendations. If you’d like to participate, please email rjwiersema at gmail dot com.